Labor Day weekend is the perfect time to get together with family and friends and toss back some great barbecue. But why stand over a hot grill when your oven can do all the work? 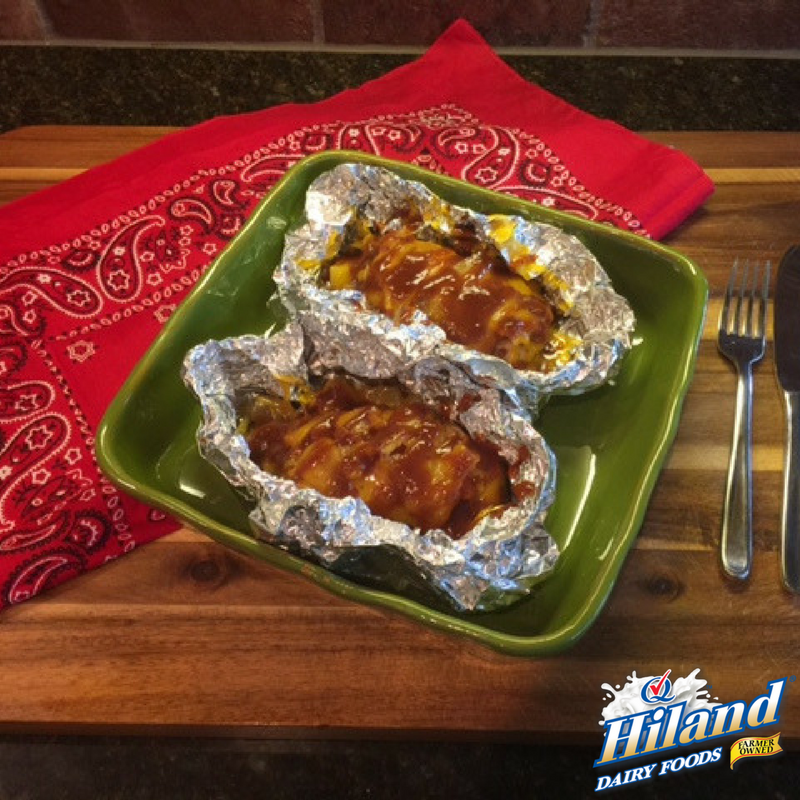 These barbecue chicken foil packs are packed with flavor and are super easy from prep to your table — just add the extras you like and you’ve made dinner in a wrap … er … snap! 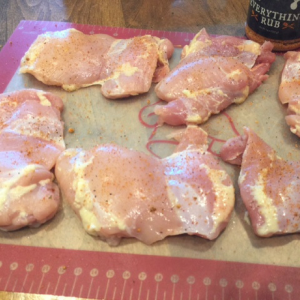 Rinse chicken thighs with cold water and pat dry with a paper towel. Season thighs to taste with barbecue seasoning. 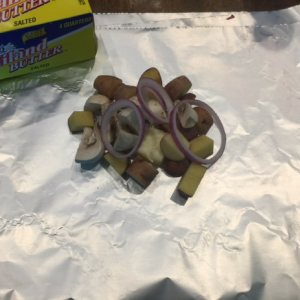 Cut potatoes and mushrooms into bite-sized pieces. Slice red onion into rings. 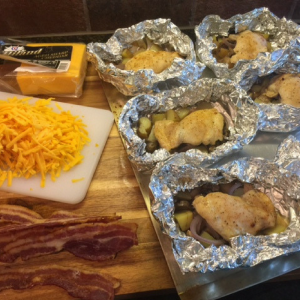 Put 1 tablespoon of butter in center of a sheet of heavy-duty aluminum foil. 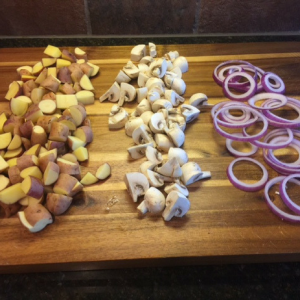 Add potato, mushroom and red onion pieces (evenly divided for 6 packs) on top of butter. Place 1 chicken thigh on top of veggies. 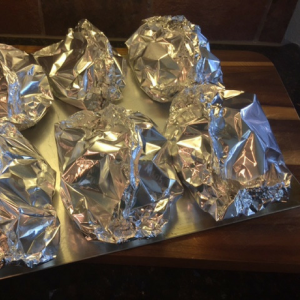 Tightly seal the aluminum foil on all sides. 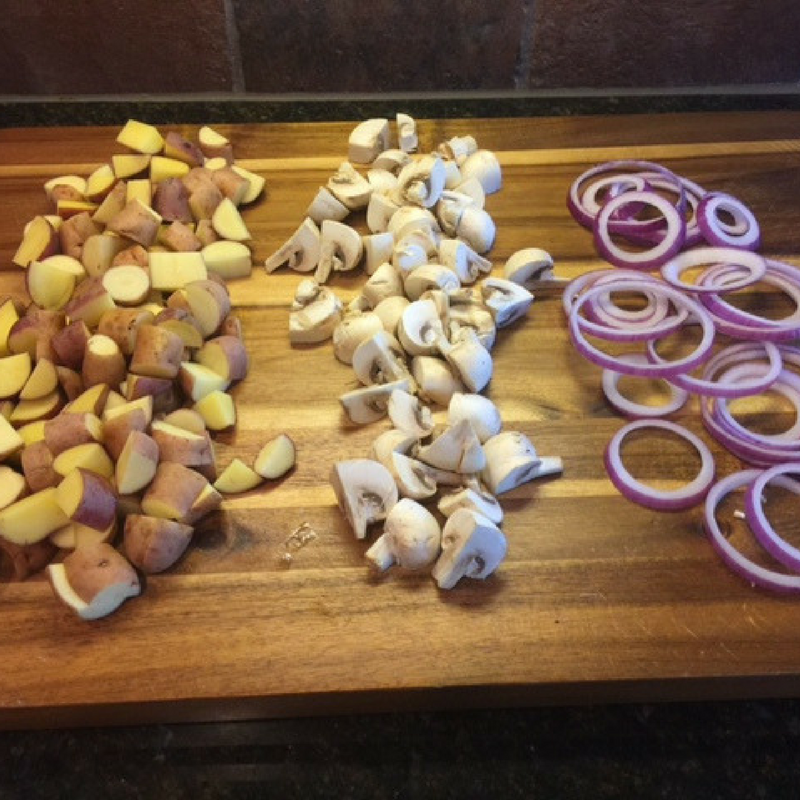 Repeat this step for each piece of chicken Tip: Be sure to leave a little extra room for steam. 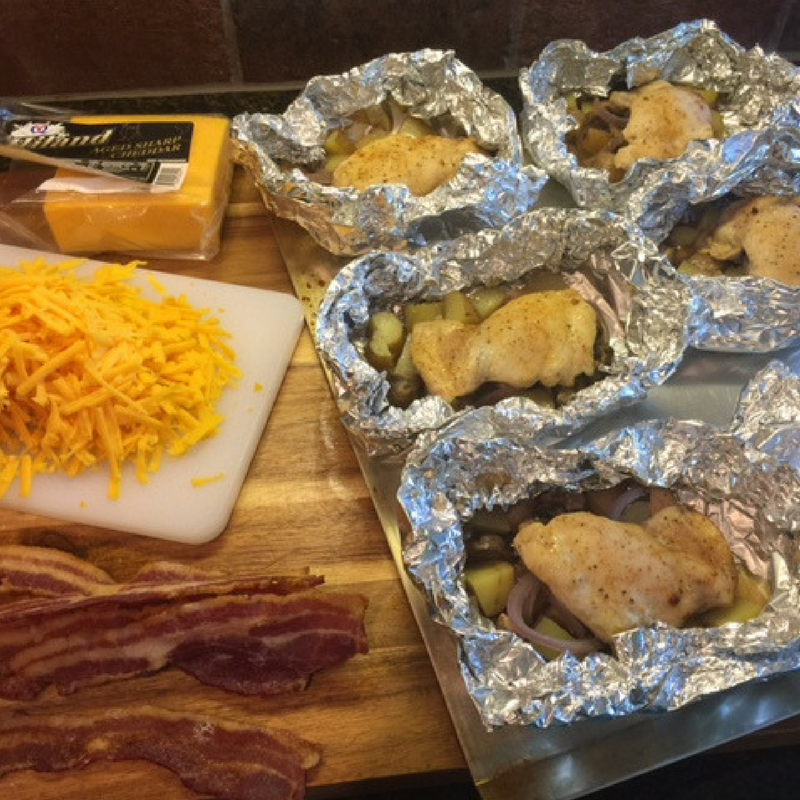 Place packs on baking sheet and bake for 1 hour. Carefully unwrap foil packs. 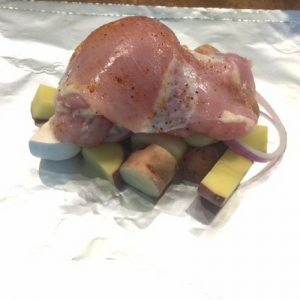 Sprinkle chicken and veggies with cheese and bacon. Leave the packets open and bake for an additional 2 to 3 minutes until cheese is melted. 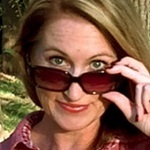 Top with your favorite barbecue sauce. If each family member prefers certain vegetables in their individualized packet, simply have each chef write their name on the outside of the foil pack before baking. 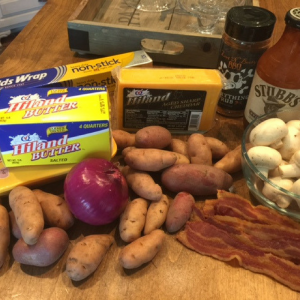 And, don’t forget to serve these up with tall glasses of farm-fresh Hiland Dairy Milk to complete the meal!